If you’re looking for new for new party or game day food try my Hot Pepperoni Pizza Dip. This may be just the recipe you’re looking for. This easy, cheesy savory spread is perfect for serving with crackers or baguette or even vegetables if you’re looking to lighten up a bit. Perfect for game day or any holiday parties coming up! Game Day is the best day amiright?  You’re snuggled in rooting on your favorite teams and noshing on your fave snacks. But maybe it’s time to add something new to your game day eats. 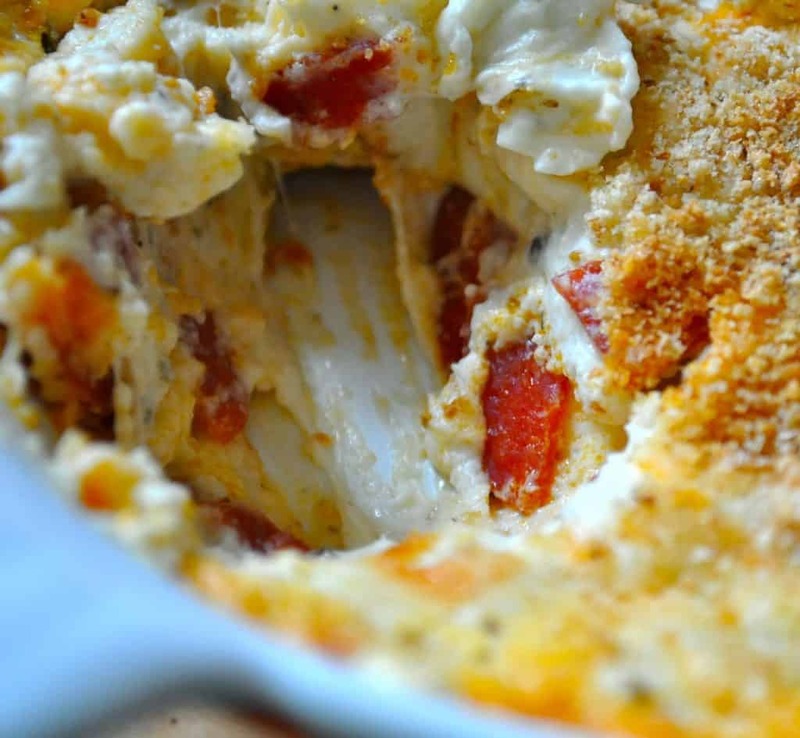 This pepperoni pizza dip is everything right not. 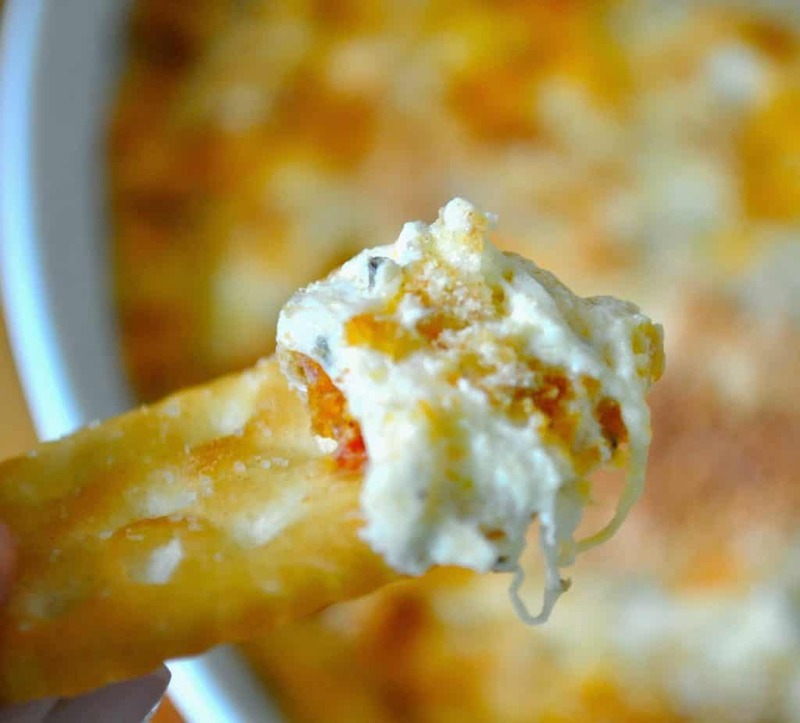 Cheesy, smoky, pizza flavor in a pot of bubbling cheese. Dip it up with vegetables if you’re low carb right now OR scoop it up with bread or crackers. Potluck Recipe for Work, that works! I love a good recipe that comes together really easily and this is one of them. You can mix it with a mixer but even by hand it takes less than five minutes to stir it up. Once mixed it can be covered and refrigerated for up to two days before baking. Which is genius because the last thing you need before your party is a panicky feeling because you’re not prepared for the potluck. 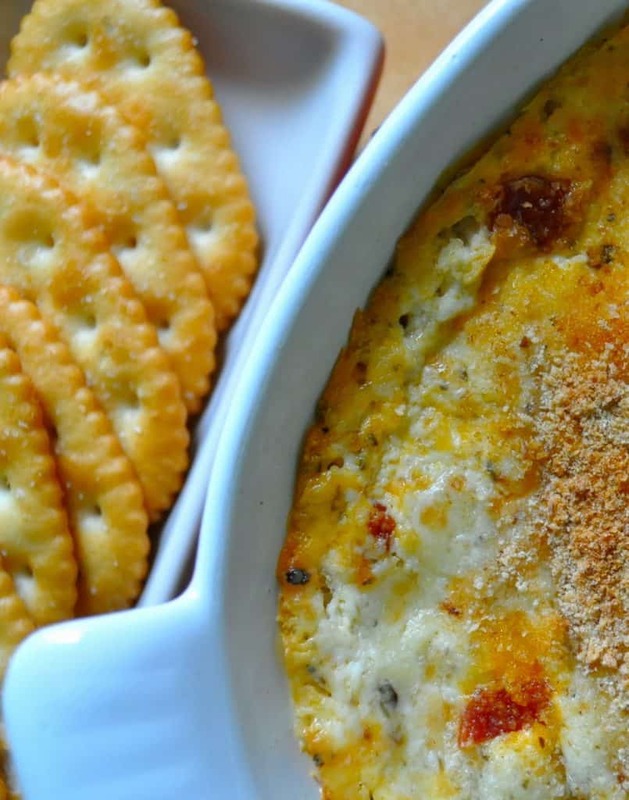 Making this Pepperoni Dip the day before means you simply warm it and serve it. Or better yet put it in a small potluck and warm it all morning long. If your guest are low carb this is the perfect keto dip recipe. Just be sure to leave the bread crumbs off the top if they’re a problem for you. 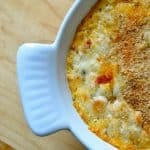 Definitely, serve this one with chopped vegetables for dipping to keep it a keto dip. be sure to whip up some of my Baked Jalapeno Poppers too for your keto friends. They will be so appreciative of that! If you're looking for a new dish for your next holiday party, Hot Pepperoni Pizza Dip may be just the recipe you're looking for. This easy, cheesy savory spread is perfect for serving with crackers or baguette or even vegetables if you're looking to lighten up a bit. Oh my word, this sounds perfect, especially the make ahead part. By the way, all week, your post titles (the ones that show up on my "Good Reads" section are old titles. I'm so glad I checked in to see how the turkey bake went (because the "Good Reads" title said it was still Turkey) but when I got here, it was pepperoni dip. Not sure why that's happening, but glad I popped in early. Oh…I could eat this WHOLE dish. I'm not kidding. Looks awesome!